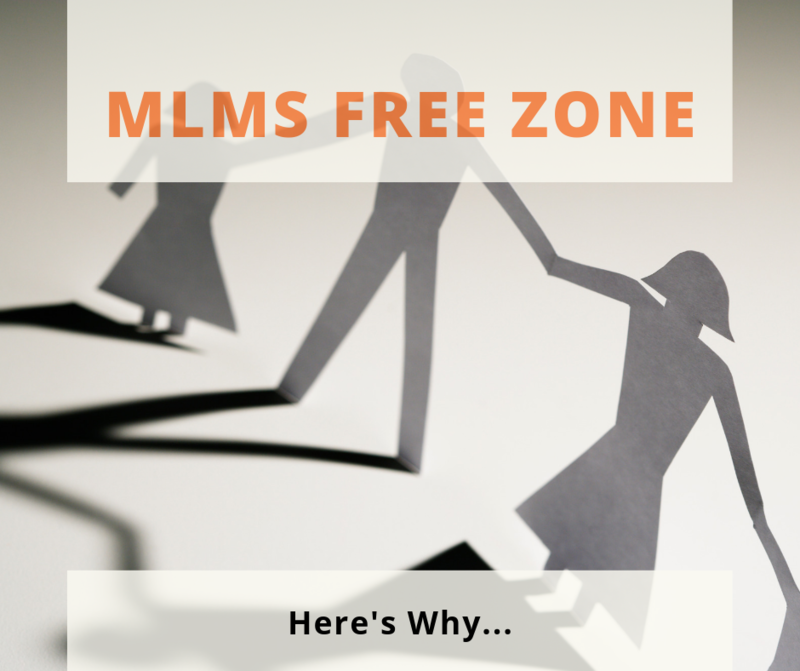 Our Stand Against MLMs - Multi Level Marketing Schemes. Our Stand Against (MLMs) Multi Level Marketing Schemes. One of the last times I saw my university lecturer we were talking about what my plans were for the future. I outlined a strict timetable that included having a part time job, writing at the weekends and evenings, and somehow having a couple of kids who would slot neatly into this lifestyle. My lecturer tried to gently point out that this may be a hard schedule to stick to, at which I bristled. In my head, I told him that he was wrong, that I would manage. It wouldn’t be too much. I would it make it work. After two babies, one broken-down house that we bought just before the housing crash and a now ex-partner with mental health problems; I realised what my lecturer was trying to tell me. Children are hard work. Life often gets much harder after having them. Don’t get me wrong, some people can manage to do everything they want, but I believe a great deal more struggle. Especially if you have added pressures: you are a single parent, you care for someone else with mental or physical difficulties, or you have your own ill health to cope with. And especially if you are also looking for a job. This still is mostly true for women, as working mothers tend to end up being overworked and underpaid, often leaving full-time roles and taking on part-time work to cope with all of the roles they have to fulfil. On top of this, part-time, home-based or flexible work has an image problem it being seen as the ‘soft option’ and can make some feel like they have lost their status at work. What does this have to do with MLMs? Since starting work with The FindYourFlex Group (which own MummyJobs.co.uk), I joined a LOT of Facebook groups to post our jobs into. I quickly became aware of the amount of advertising of MLM ‘opportunities’ out there. Nearly every group for flexible/home-based work, have posts of people trying to recruit members to ‘join their team’. Posts asking people to work for ‘this amazing company, work when YOU want and make ££££!!!’. Many adverts had pictures of people working happily with a cup of tea, in a beautiful house, or with their family. Since I was told that we didn’t allow MLM’s; I largely ignored the adverts. But researching the subject I’ve realised just how just how unscrupulous these companies can be to work for. While it is tempting to dismiss these phoney adverts as ridiculous, as a new mum they can for some, feel like a lifeline. One study by video parenting site ChannelMum.com found that 90% of mums feel lonely after giving birth and 80% want more mum friends. This certainly was my experience. Add in the fact that mothers on lower incomes have less flexible work choices, and taking on longer hours will often mean childcare costs they can’t meet, you can see that a home-based job that seems easy, can be very attractive. Adverts like this, and the women posting them, are pushing the right buttons. They are aimed at people desperate to make money. They promote their ads in a way that will mean parents can balance children and work. However, it sounds too good to be true, because it is. MLM’s are not truly supportive of family life, they exist to make money of the people who sign up. Let me give you an example: a friend of mine (let’s call her Hannah) worked for Anne Summers. I say ‘worked for’, but that is not strictly speaking true. MLMs work on the basis that people who sell for them are self-employed, and therefore not entitled to basic employment rights, like sick or holiday pay, or indeed a minimum wage. Anyway, Hannah became a ‘Party Organiser’ and quickly worked her way up to become a ‘Unit Organiser’. Not by selling, but by recruiting other people to sell under her. MLMs work on the structure of ‘the more people you recruit under you and the more they recruit, the more it adds to your sales’. Recruits are known as ‘downline distributors’, as you take a percentage from their orders from the MLM. So you get paid for other people’s hard work. At first it went OK, the parties were fun, especially if you held one in a pub. Hannah tells me that at one such party she sold around £800 worth of stock. She even went part-time from her other job to concentrate on the parties. But these good days did not outweigh the bad. She admits too often having a drink after working, which would cut into her profits. At many parties, people were late, or not many (if any) turned up. “My heart would sink if I turned up to someone’s house [to run a party], and only three people were there”, she says. She told me that she went to a monthly company event in which her achievements were recognised. But, when she (rightly) said her sales targets were down, to the organisers under her, she was meet by some frosty stares from the other, more senior ‘Unit Organisers’. In this meeting, the organisers were not reimbursed for expenses — they had to cover their own travel and food/drink costs. MLMs offer no real work benefits, no expenses for work related costs, no sick or maternity pay, and no real flexibility. To make money you must be working all the time. “Did you make any money?” I asked. “No, but you got badges! That kept you going”, she replied. Turns out that she would get a badge if she hit a target. Badges such as a Love Potion badge, or a Rampant Rabbit badge, which moved her up the ladder. Many MLMs have some form of bogus ‘progression’ system, and have different ways of marking it. However, it doesn’t mean by hitting the targets you would see any profit. Hannah certainly didn’t. She had to pay off the cost of her starter kit (£500 in 2003). The money she gave towards that, which was roughly £35 a month, would be counted towards her target. So, it would look like she was selling more that she was. Also a lot of her money was going on new stock, so she could keep up with orders. So really, she was just buying a lot. And not selling much. From Hannah’s experience and reading up on these organisations, it seems that their rules on how they operate are often complicated. They are seemingly never fully understood. Hannah herself didn’t realise that when she left the company, her starter kit would have to be sent back. Anything missing from the kit had to be replaced from her own pocket (including order forms). She had told the people she recruited under her the contrary. Hannah finally left after having two miscarriages close together which she, naturally had to take time off for. Her parties were still covered by other organisers. But even though she set them up, she didn’t see any profit from them. After her second miscarriage, her Area Manager was so unsympathetic and angry with her for missing her sales. She decided to leave. The appeal of joining MLMs is they seem completely reasonable to begin with — why not sell a few nice things on the side, in your own time? But the hard truth is that the time you put into it to make it work can be far more than the rewards you reap. Add children into the mix, with all their emotional and practical needs, it soon becomes very hard indeed. You can make the analogy between this and dieting; how many times have you told yourself that you’ll only drink lemon water for breakfast for a whole month, only to steal the kids’ toast on Day Two? This isn’t to put down people’s hard-earned achievements with actual businesses or indeed losing weight, but that MLM systems are largely totally unrealistic. Wouldn’t you rather you made money for the work you have done yourself and not off the back of other desperate people, that ultimately only really pays for a few fat cats right at the top of the upline? Here at Find Your Flex, we want to change the status quo and help people have a better balance to their lives, by asking for flexible work and to push for employers to offer it. We believe that MLMs merely exploit desperate people, rather than offer a better alternative. People who work part-time are efficient, loyal and hard working — they are a great underused resource. Why not set up your own business or get a PAYE job — there are flexible jobs and flexible working recruitment agencies out there! Our aim is to bring them all in to one place right here on our jobs board. MLMs target the most vulnerable. These people deserve a chance to have a good job with basic rights. Just because they don’t work eight hours a day in an office doesn’t mean they should be penalised when trying to make some money. They are already working hard. This is our stand against MLMs. Author: Kizzy Hamilton, Marketing Team at The Find Your Flex Group. The Perils Of Working Under A MLMS, 9 Reasons Why You Shouldn't Join!